Chipotle and McDonald's are endlessly pitted against each other, representing the biggest players in the worlds of fast casual and fast food. Now, they've entered the battle arena again – this time in the delivery business. 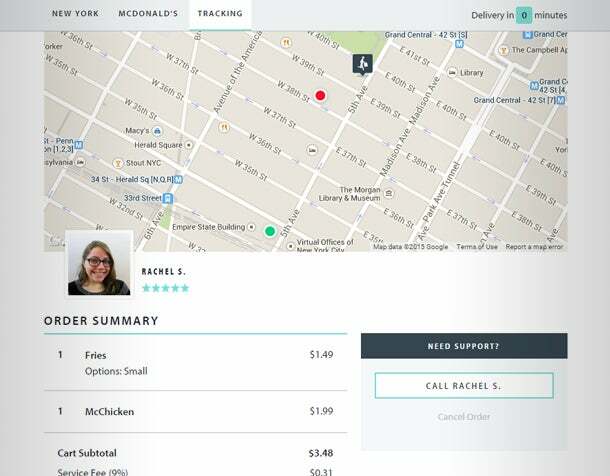 On Monday, McDonald's began offering delivery in New York City through a partnership with delivery app Postmates. The test comes just a few weeks after Chipotle's late April announcement that the chain was officially offering delivery for the first time ever, also through Postmates. Postmates delivery has the potential to be an important service for both chains, as Chipotle attempts to grow its mobile ordering and McDonald's tries to modernize its business. So, Entrepreneur decided to test out delivery services at both chains. On Tuesday, I placed four lunch orders, two at each chain. To test the service as both a means for a single customer to order lunch and a way to buy food for a large group, I placed separate orders for a single meal and enough food to feed seven people (in related news, Entrepreneur's New York City office ate well on Tuesday). Ordering the food, I quickly realized that Postmates takes the starring role in the delivery process. While pizza chains and other delivery-focused companies deal with a wide array of concerns and costs associated with setting up a delivery system, hiring employees to deliver food and linking delivery to mobile and digital ordering, Chipotle and McDonald's have sidestepped these issues entirely by partnering with Postmates. The process of ordering is nearly identical for the two chains, as I used the Postmates website in both cases. So, Postmates was responsible for almost all the minor issues I had during the delivery process. For example, while the app does a good job tracking the delivery person after he or she leaves the restaurant with your food, prior to that point, the timer was of little use at either restaurant. 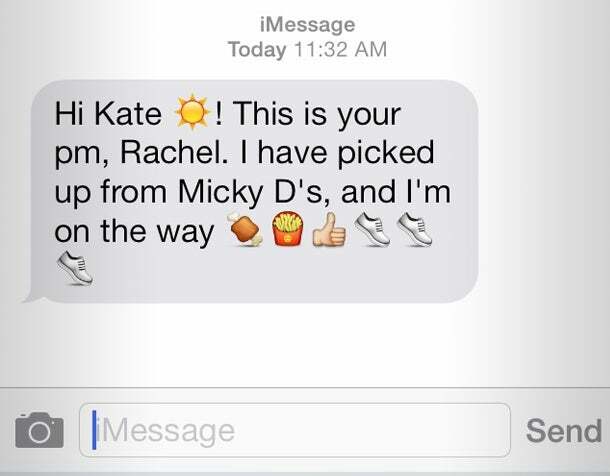 Additionally, when Rachel, who was delivering a McDonald's order, sent me an awesome emoji-filled text telling me she was on her way, the credit goes to Postmates, where Rachel has worked since December. She could have just as easily been delivering a Chipotle order – though, since the iPhone currently lacks a burrito emoji, the text likely wouldn't have been as exciting. In terms of cost, Chipotle and McDonald's are again evenly matched. While my Chipotle orders were pricier than McDonald's, delivery costs were the same: $5.25 for the single meal, and $6.25 for the seven-person feast. The delivery price didn't actually increase because I ordered more food – I placed the larger orders closer to noon and the lunchtime rush, so blitz pricing was in effect at both locations, increasing delivery fees by 1.25 times due to increased demand. The Postmates service fee is always 9 percent, so that was consistent accross all orders. Delivery times were also about the same between the chains. McDonald's won out for the single speediest delivery, with emoji wizard Rachel delivering my McChicken and fries a mere 18 minutes after I ordered. The fast-food chain also had the slowest order, with a mix of seven McDonald's classics and newer menu offerings taking 39 minutes to arrive. This was mostly due to the fact that it took eight minutes for Postmates to find a free courier, a problem that is not specific to McDonald's. Chipotle actually delivered the larger order faster than a single sofritas burrito, with the orders arriving 26 minutes and 30 minutes after ordering, respectively. Ultimately, it took both chains an average of 28 minutes from order until arrival – faster than Domino's ill-fated promise of delivery in "30 minutes or free." With a common delivery service and equally matched time and cost, the ultimate question in McDonald's versus Chipotle is which chain is better suited for delivery. Neither chain had any technical slip-ups, such as incorrect orders or missing items. In terms of taste, McDonald's delivery had a slight edge. While Chipotle-aficionados wolfed down their burritos and burrito bowls, there were slight complaints. One Entrepreneur writer said she believed employees hadn't stuffed the burritos as fully as if a watchful customer were present and the recipient of the singularly-delivered sofritas burrito said her meal needed 10 seconds in the microwave prior to consumption. However, these complaints may also be affected by familiarity with Chipotle, which testers admitted they consumed more regularly and recently than McDonald's. 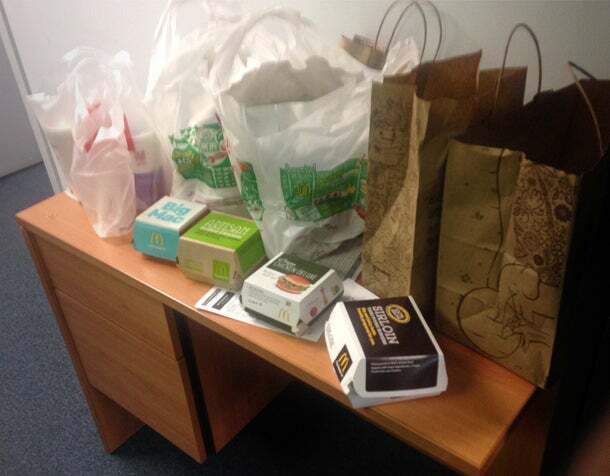 Meanwhile, McDonald's arrived still warm and with plenty of condiments. Even the fries, which have the greatest potential for disaster as they go from uniquely tasty when hot to soggy and disgusting when cold, remained warm. Drive thru service has prepared the company well for providing food on the go. However, cost proves to be McDonald's delivery downfall. Paying $5.25 for a $13 order of one sofritas burrito, plus chips and guacamole, feels a little excessive. Paying $5.25 for a meal that only cost $3.48 is simply absurd. McDonald's is too inexpensive for most customers to consider delivery to be worthwhile, as a $5 fee can easily double the cost of a meal. While it may make sense for larger orders, such as families or special occasions, it seems unlikely that delivery will ever become essential to the chain in the way the drive thru is. This is what makes both chains' partnership with Postmates such a savvy business move. Neither chain is perfectly suited for delivery. However, by putting the bulk of the labor on the delivery startup, business can continue as usual at restaurants with the added benefit of a small influx of orders picked up by Postmates couriers for delivery. In McDonald's vs. Chipotle, there's no real winner, but by partnering with Postmates, the chains have created a win-win scenario when it comes to delivery.